Next up in our podcast series showcasing researchers from the Freemasons Foundation Centre for Men’s Health at the University of Adelaide, we hear from Dr Sarah Appleton Post-doc Research Fellow (the University of Adelaide) talking to Cameron about sleep hygiene. Sarah is based at both the Basil Hetzel Institute at the Queen Elizabeth Hospital and the South Australian Health and Medical Research Institute. We all know that good sleep hygiene is crucial for good physical and mental health and well-being, equal to that of good nutrition and keeping fit. 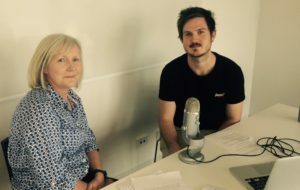 In this podcast Sarah provides a run down of the findings from their recently completed National Sleep Survey which provided a snap shot of the extent of sleep problems in the community. This entry was posted in News, Research and tagged education, OSA, podcast, sleep, sleep hygiene. Bookmark the permalink.